If we look to figures like Musashi for hints about how to follow our own paths, it is vitally important to separate their fictionalized representations from the truth, as much as possible. I watched the first part of TV Asahi’s two-part Miyamoto Musashi miniseries over the weekend very grudgingly, since it starred formerly-boy-band SMAP member Kimura Takuya, whom I find irritating under the best of circumstances, an utterly improbable choice for the title role; however, I felt a strange obligation to see what new absurdities and indignities would be perpetrated on the name of the great swordsman and strategist. It turned out to be just another adaptation of Yoshikawa Eiji’s serialized novel, with a couple of slight twists, most notably having Musashi first encounter “Sasaki” Kōjirō on the battlefield at Sekigahara. “Kimutaku” ‘s performance was about what one would expect, with a great deal more attention clearly paid to his hair than to his acting. Also, electric guitars in the soundtrack, in case you weren’t sure which parts you were supposed to find exciting. What bothers me most about these adaptations, though, is not the performances themselves, but how they misrepresent and in some cases fly in the face of Musashi’s actual legacy. First of all, they tend to portray Musashi as having achieved his “realization of the Way” as a young man (in this case guided by the Zen priest Takuan Sōhō, whose correspondence with the Yagyū clan is well documented, but who has no direct historical connection with Musashi), when in The Five Rings Musashi writes that he did not achieve this until he was around fifty, and most of his bouts were behind him. The climactic bout with Kōjirō, a well-known story and generally the focus of these fictional versions, is not even recorded by Musashi himself, and (if it even happened) would have happened before Musashi really decided to dedicate himself to understanding “the deeper principles of the Way”, in any case. When, sometime after I turned thirty, I thought back over my past, I realized that I had not won all those bouts because I had achieved great levels of strategic skill. It could have been because I had some innate gift for this path, and thus did not get away from its natural principles, or because those other styles of swordsmanship were lacking in some respect. After seeing this, in order to attain the deeper principles, I set myself to training day in and day out. In due course I realized the Way of Strategy. This was when I was about fifty years old. Since then I have never again needed to search for the Way in anything. By applying the principles of strategy to the practice of various arts, I have never needed a teacher in any of those things. Musashi states very clearly that the time when he no longer needed a teacher was after achieved his enlightenment in the Way, quite late in his life (Musashi only lived to be about 64). The idea that Musashi developed his style of swordsmanship from scratch is patently absurd. He surely had a teacher or teachers, including almost certainly his adoptive father Shinmen (“Miyamoto”) Munisai, who was a well-known swordsman and practitioner of the cross-tipped spear and had even been awarded the title tenka-musō 天下無双 (“peerless under heaven”). Strong evidence of this lies in the distinct similarity between the curriculum outlines of Munisai’s Tōri Ryū 当理流 (“Hitting/Achieving Principle” School), and the style Musashi was teaching while in his twenties, known as the Enmei Ryū 円明流 (“Perfect Clarity” or “Bright Circle”). * Only later did Musashi create the style that was more distinctively his own. So, unlike the fictional representation of him, the Musashi had at least one teacher, and it took him about twenty years after what might have been considered the “peak” of his career as a swordsman to “realize the Way”. These are important things to remember when we follow our own paths. *See Uozumi, Takashi 『宮本武蔵：日本人の道』Tokyo: Pelican, 2002. pp. 34-37. A recent online discussion I was involved in centered on the somewhat strange fact that there seems to be no real agreement about how the Japanese name for Japan – 日本 – should properly be pronounced: nihon or nippon. I have my own fairly strong ideas on that, which I’ll spare you here, but what the discussion really got me thinking about more was another, more traditional name for the country: 大和, read as “Yamato” but comprised of the characters 大 dai, ō- – “great” – and 和 wa, nago-, nagi-… meaning “harmony, reconciliation”. The second character (in its original form 倭) was long used by the ancient Chinese and Korean dynasties to refer to the country of Japan, and the “newer” (but still very old) form is still used today as a shorthand for “Japanese”, particularly in regard to the traditional culture of Japan. 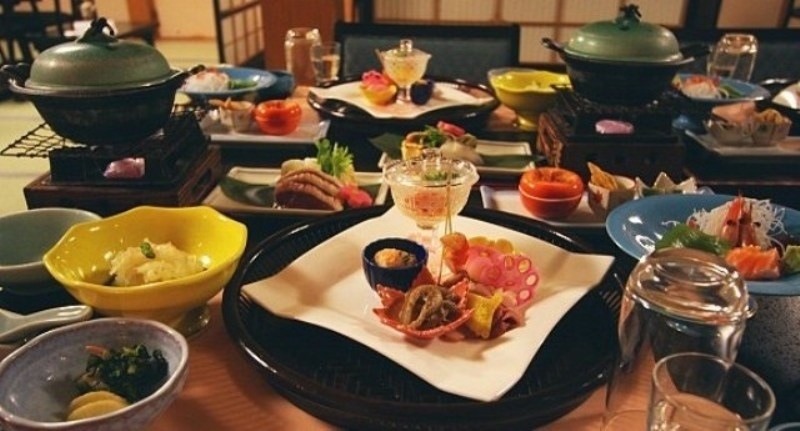 Traditional Japanese cuisine is called 和食, or “harmonious food/meal”, for example, and the serene, minimal, tatami-matted room is known as a 和室 washitsu – “harmonious room”. The concept of wa as it relates to interpersonal relationships in a group/collectively-oriented society is fairly familiar, I suspect; the sports writer Robert Whiting explored its relationship to baseball in his best-selling book You Gotta Have Wa, and the idea has been quite thoroughly analyzed in the corporate sphere since the days of Japan’s bubble, when it looked like Japanese corporations were set to take over the world and everyone was scrambling to figure out what they were doing differently. In its most basic form, the harmony of the group automatically takes precedence over any one individual’s wishes, leading to a strong desire to avoid most confrontation or open disagreement. However, there is another, broader (or one might say deeper) aspect to the idea of wa, especially as it relates to traditional Japanese arts and culture, and one which I think is even more worthy of emulation, and that is the sense of wa as harmonization with the natural world: a “reconciliation”, if you will, with the world around us, which as a species we so often seek to dominate by bludgeoning it into submission. 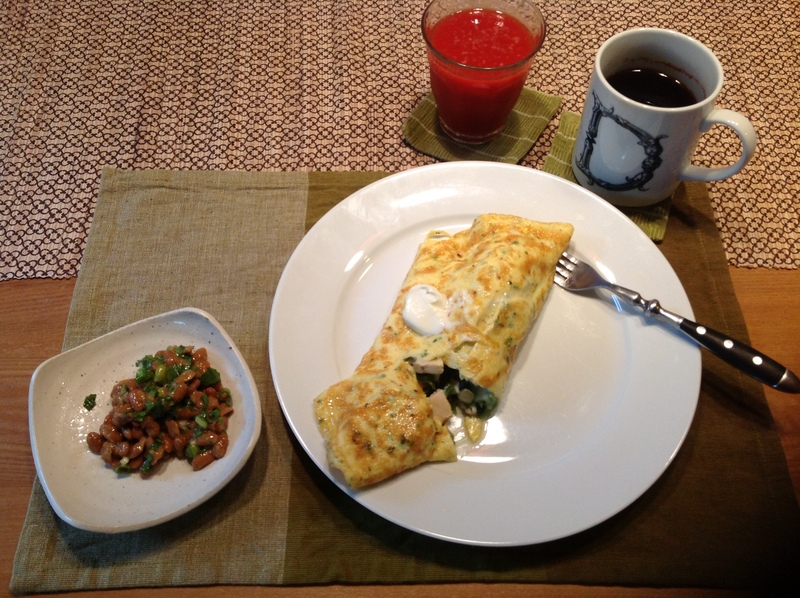 Some similar ideas have relatively recently begun to take root (or re-emerge) in the West, as well, although not necessarily due to the influence of traditional Japanese culture: for example, there has been a move back towards local, seasonal foods. In the West, the impetus for this seems to be mainly economic and health-related; in traditional Japanese culture, on the other hand, it is primarily aesthetic and, one might say, spiritual. The traditional Japanese chef must feel “in tune” with the fluctuation of the seasons, and understand the unique periods of ripeness for each culinary element. There can be no forcing; the chef must work with what nature can be coaxed into providing, and tries to do as much as possible with the simple, basic flavors therein. 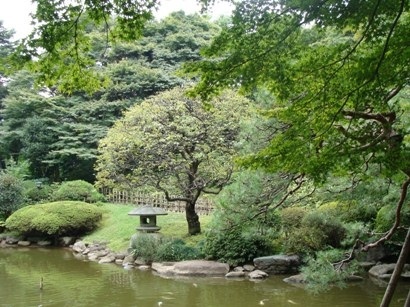 Japanese gardens, although carefully cultivated, are manipulated artfully in such a way as to harmonize with the natural features already present, and moreover, to maintain an appearance of thorough naturalness. Although modern Japanese culture has to a large extent gotten away from a lot of these ideas, there still remains a great deal of attention to the rhythms of nature in the passing of the seasons; the equinoxes, for example, are national holidays, and a great deal is made of the seasonal blossoming of flowers (particularly the Japanese cherry, but also others) and other cyclical natural phenomena, as well as great fanfare over the arrival of seasonal delicacies. …in all things there is rhythm… The rhythms of the world are expressed in such things as the Way of Dance and the rhythms of wind and string musicians; in all these, there is a harmonized and peaceful rhythm. Moving over to the Ways of the Martial Arts, the shot of a bow, the firing of a gun, and the riding of a horse all have rhythms and timings. In all skills and abilities, rhythm is a thing that should not be ignored. Furthermore, there is also rhythm in that which is empty. 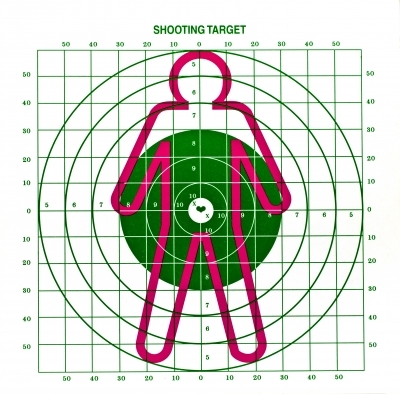 In the career of a warrior, there is a rhythm to rising in service to one’s master, and a rhythm to falling from favor, a rhythm to things going as expected and a rhythm to the unexpected happening. Or, in the Way of Business, there is a rhythm to becoming wealthy, and a rhythm to wealth disappearing; in every Way there are different rhythms. In all things, the rhythms in which they thrive, and the rhythms in which they decline – you should carefully discern these. A word in Japanese meaning “forced” (also used to mean “impossible”) is muri 無理 (“no principle”) – something that goes against the natural principles, or flow of things. The real key to our success – as individuals, as societies, as a species – lies in our ability to avoid this and instead go with nature and its principles, harmonizing with both the people and the natural world around us. 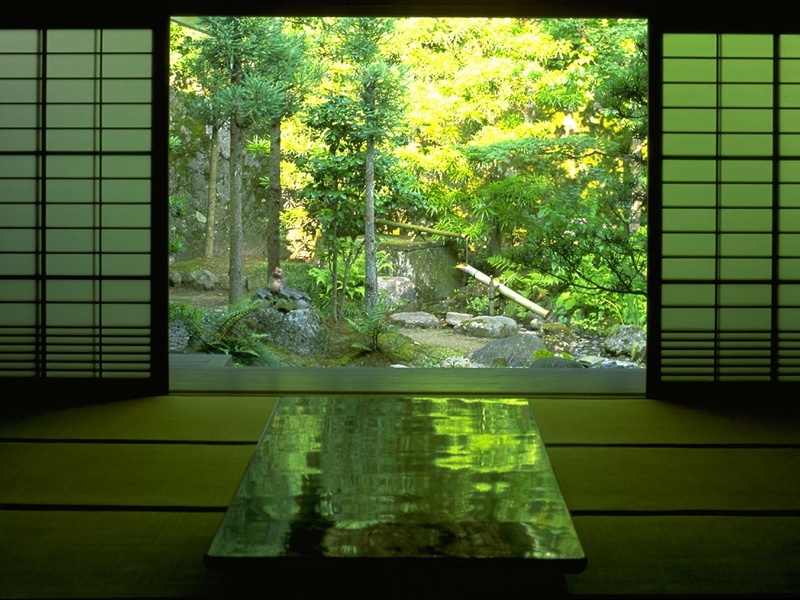 This idea of “great harmony” intrinsic to the Zen-influenced traditional Japanese culture is the one that I think most of us around the world could benefit most from better understanding, and emulating. A friend shared this post from Business Insider. It’s good, a nice little encapsulation of the real reason for our martial training: Calm. Centeredness. Grace under pressure. 不動心 (fudōshin: “immovable” [i.e. imperturbable] mind/spirit). Not just in combat or self-defense, but in all of daily life, as well. 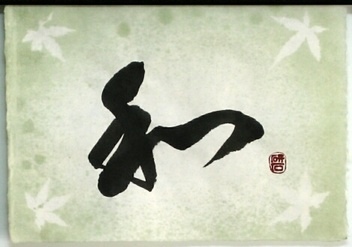 Besides being one of the most renowned swordsmen of all time, Miyamoto Musashi was also an accomplished artist and calligrapher, and in this, his most famous piece of calligraphy, he similarly encapsulates the meaning of the martial Way, but much more economically. 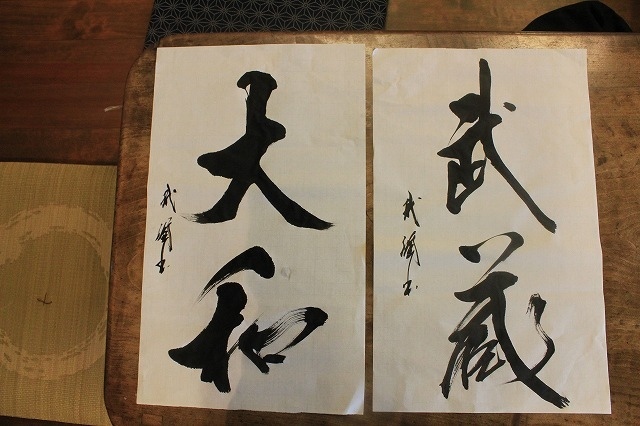 The two bold characters at the top read 戦気 sen-ki, or “battle spirit”/ “the spirit of battle”. Their bold, slashing strokes are the very embodiment of the clash of swordsmen’s bodies in combat. The cold stream, although flowing, holds the reflection of the moon clearly, and placidly. This, Musashi seems to be telling us, is the true “spirit for battle”: in the midst of furious conflict, utter calm: flowing, unattached. This, I believe, is the true meaning of our training. We strive to become able to maintain this inner stillness – in the chaos of combat, or the upheavals of our day-to-day existence. It’s summer in Tokyo. It’s hot and humid, in a way that can really take it out of you. I’ve discovered, however, that cold showers go a long way in helping get through these sauna-like days. I pretty often have two or sometimes even three a day (one in the morning and one in the evening; usually one after the gym or dojo). I started off doing the “James Bond shower” (also known as a “Scottish Shower”): starting hot, and gradually dialing back the temperature until at the end of the shower it was fully cold. That’s a pretty comfortable way to approach it, especially starting off. However, reading this inspired me to skip the gradual dial-back and just switch to simply flipping the water straight over to cold at the end, as a practice in controlling the flinch mechanism. But cold showers aren’t just a great way to cool off (and learn to control your flinch mechanism); they can also have a meditative aspect (as well as a number of reputed health benefits).